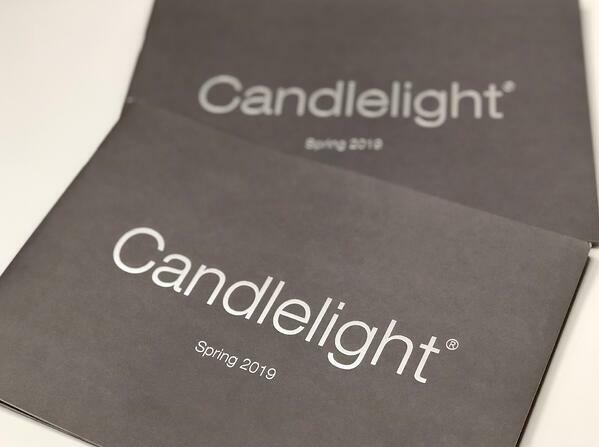 Candlelight wanted to show off their beautiful new spring collection, and they came to the right place. The ‘Spring 2019’ brochure we have just printed helped them do just that. Using LED UV throughout the brochure ensured the products looked crisp and vibrant on the uncoated paper. The front cover looks minimal and ultra-modern. The grey uncoated paper of the front cover gives it a dullish matte feel this really enhances the logo which has been block foiled in matte silver. The matte block foil is more understated and subtler to the regular silver foil but looks equally as effective. 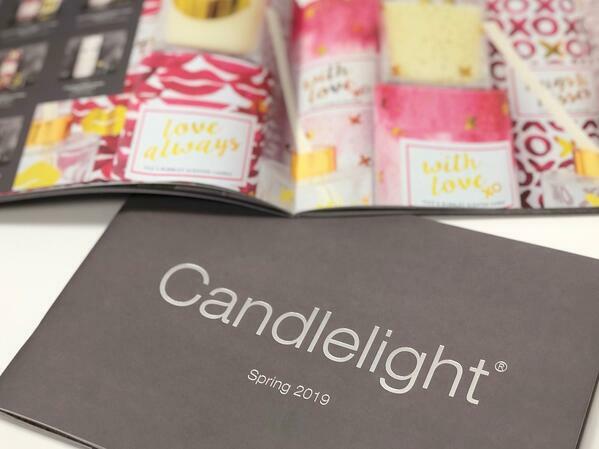 The professional print and quality feel of the finished brochure helps reflect the quality of Candlelight products to their customers and gives them a feel of the brand. Candlelight were thrilled with how their brochure turned out. They loved the metallic matte silver foil we used on the cover to magnify their logo and create a vibrant feel against the grey background. Our client added “Richard has been brilliant, extremely helpful when planning the print route for the new brochure. Richard arranged for us to call into B&B Press to give approval on the proof before mass production - We even had a coffee while more plates and proofs were prepared." Who knew that LED UV could look so good look so stunning? Well, Candlelight did and thanks to our printing abilities we have managed to present them with a beautiful brochure. If you liked the look of this brochure and what the power of print can produce, get in touch with one of the team members here at B&B Press and we'll make your next project, a BeBrilliant one.